ATJ's Home Improvement | News and Alerts | What Type of Roofing is Best Suited for Snowy Chicago Winters? 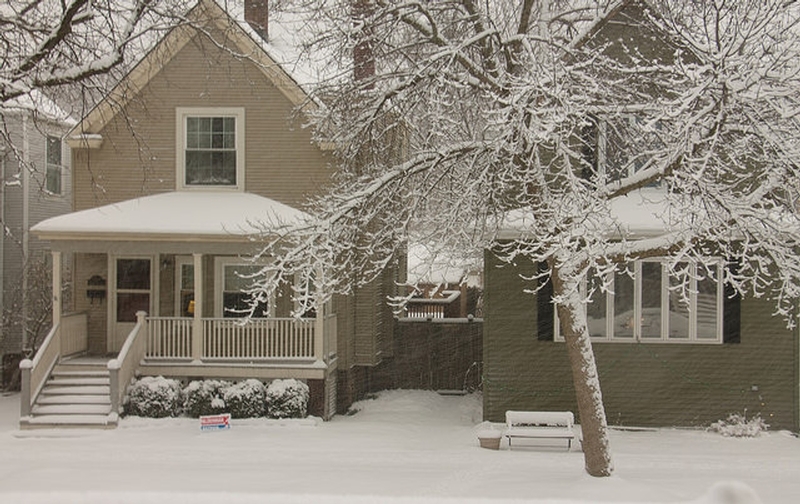 What Type of Roofing is Best Suited for Snowy Chicago Winters? We wear different clothes in winter than summer and we make sure we got weather-appropriate boots to go with our outfits. Some of us even go through the trouble of swapping all-season tires to snow tires. But what about a roof? Should you get a special “winter roof”? A client of ours has recently asked a very good question: are certain types of roofing systems better than others in colder, snowy climates? Indeed, they are. Luckily, you don’t have to replace your roof every season (now that would make some roofers very happy!) but you should consider different roofing materials based on the climate you live. Roofs in the Chicago and other Midwest areas will lie under heavy piles of snow for months. Slate and tile roofing is very heavy, which shouldn’t prevent you from using these upscale options. Just keep in mind that your roof will require extra reinforcement for both the roofing material and piles of heavy snow. Clay tile is a very popular option in Arizona, Nevada and other desert climates for good reasons. It is more expensive than metal or shingles, but it blocks heat and is relatively wind-resistant. Unlike desert climates, cooler areas need dark roofing to absorb winter sunlight (when the roof is not covered in snow) and provide some free heating. Dark shingles can help draw heat into the home. However, again, they are light and could be easily pulled off by a tornado. Rubber roofing, though unattractive, also retains heat and may be more wind-resistant. Surprisingly, metal roof is the most durable option and is best suitable for Chicago weather. Why surprisingly? Most people intuitively would think that metal roof is heavy, therefore, it’s not recommended in the areas with heavy snow accumulation. However, contrary to a popular belief, metal is one of the lightest roofing systems. It also sheds snow with ease and rarely springs a leak. Metal roofing systems, especially standing seam, have a good track record of performance in harsh winter environments, as long as they are properly designed. The key factors are usually snow loading requirements, adequate slope, and the use of snow guards when needed. If these issues are addressed during the design stage and the roofing contractor does his job, these systems will almost always perform as intended. One more thing to consider: metal roofs can shed snow so quickly, it can cause another problem — giant snow piles surrounding the house! Be sure to include ample space beneath the roofline for this purpose, and provide a safe walking path not directly below the eaves. Overall, metal roofs are a good long-term investment for people in cities like Chicago. Due to the fact that metal roofs are more expensive and require very skilled roofing crew, most homeowners end up looking for different options. Regular asphalt shingles also stand up well in harsh winters and are less costly to repair than wood or slate shingles. Variety of shingles in current market allows customers to avoid sacrificing aesthetics in order to afford desirable roofing. Also, higher-end shingles are better at taking the beating during harsh Chicago’s winters. Most expensive pitched roofing shingles price is for composite roofing material, which is made of asphalt that is organic or fiberglass. This is the most common roofing material for pitched roof shingles and lasts anywhere from twenty to forty years. To sum up, if you can afford it and know a roofer that has plenty of experience, go with a standing seam roof. It will shed the snow and it will not crumble under the harsh Chicago winter conditions like a true metal soldier that it is. Otherwise, higher-end asphalt shingles will do the job.